Labyrinth Of Lies: A Nancy Drew Review and Giveaway! This is a sponsored post. I was provided with a copy to review and one to giveaway. All opinions are my own. 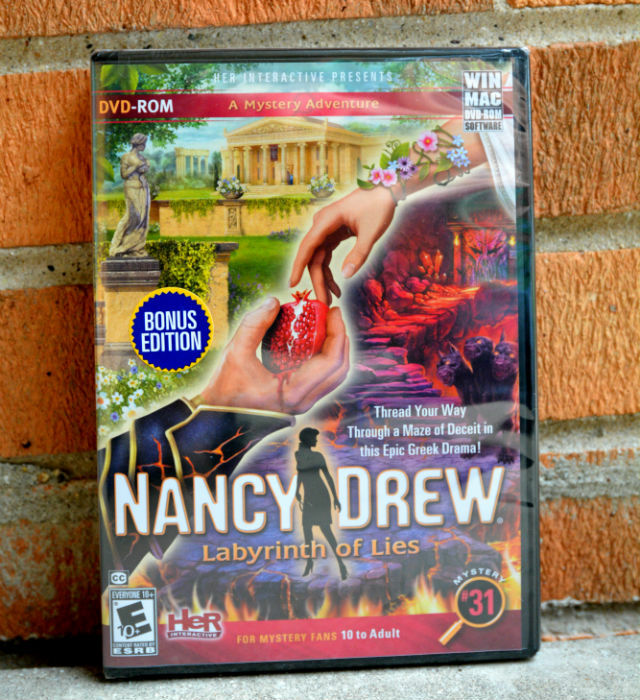 When I heard that there was a chance at getting to play the newest Nancy Drew mystery, Labyrinth of Lies, from HerInteractive, I may have made an indelicate noise that some may consider as unladylike. Given that Nancy is no stranger to unexpected surprises, I’m nearly certain she would understand. Sometimes you just have to express yourself. So with much haste, and quite a lot of hurrying to get a proper photo of the game still in box, I set out to solve a mystery. Let me tell you, it was not what I was expecting. I have to admit that I am not unfamiliar with the forum in which a helpful hint is posted. I am accustomed to playing with support. Yet, here I was going it solo. The games are rated ages 10 & up. So, I should have no problems playing alone being far past the fifteen years past the age of ten. That is of course discounting the fact that a mystery game is filled with puzzles. Ones that are challenging and the added distraction of all the extra mini-games. I love being able to play endless numbers of puzzles. It means that turning off the game is highly improbable. Even when it was obvious that I didn’t know what I was missing. One instance, I am mildly embarrassed to admit to missing picking up some labels. I had spent far longer than anticipated in labelling vases. Just one of the jobs of part-time museum staff. There were more exhibit setup to be done. Nancy is charged with readying the museum for the opening night of the play and exhibit. She has to ingratiate herself into a troupe of actors that have far more on their hands than helping her get accustomed to Greece. Although, this game was much more enclosed than usual. There was no time change as it takes the course of one single day. The upside is that the fear factor is not present. I remember being warned by friends that certain games should be played during the day in case you ended up unable to sleep. There’s more to it than that. With the usual eccentric details of Nancy Drew there are secrets to be found everywhere. Ones that you least expect and twists that you cannot predict. Even with the helpful guidance of Frank and Joe Hardy you won’t know the true outcome until the end of the night. The stage is far more elaborate than I could have imagined. The puzzles are layered in mythology as you learn about the gods of Mt. Olympus. The people of ancient Greece and the tale of the Underworld. There is a lot to learn about running a museum and a theatre. Luckily, there are still hints available if you play on Amateur mode. Which I did for my first time around, I knew that I was going to need them. They don’t necessarily give you the answers but can point you in the right direction when you are madly swishing your magnifying glass around the screen and not knowing where to go. There is so much to do and so little time before night falls. In all honesty, this wasn’t my favorite game from the Nancy Drew series. Only because I have already learned about ancient Greece, so the game was still fun it was less learning for me. My favorite part of playing as Nancy is exploring new places and countries and experiencing new cultures all while solving puzzles which mean I really do have to commit those details to memories or risk Nancy’s death. I cannot say that I haven’t heard the screams or dread as I lead her down the wrong path but I have the chance to try again. The try again feature is one of my favorites. Most game interfaces make you redo something you have already done when it was only those final moments that you failed. You get to try again right away and as many times as you need. This chance allows you more time to keep going until you figure it out. I have abandoned other games for the reason that I just didn’t want to put up with their shenanigans. I refused to spend hours trying over and over again when I could be doing something else like reading. Sometime a mistake can be avoided and sometimes they can’t, but I always learn how to solve the problem. Another reason that I love Nancy Drew games is my love for the book series. I grew up reading the adventures and it’s beyond what I imagined being able to solve the mystery as one of my childhood heroes. I get to piece the mystery together and be the detective. 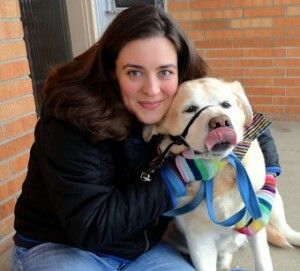 I get to solve the mystery and you can too! Let me know in the comments below what your favorite Nancy Drew mystery is be it game or book and enter to win your own copy of Labyrinth of Lies!